Barbara Kelly has more than 30 years of experience in advising clients on complex tax matters involving domestic and cross-border corporate acquisitions, dispositions, financings, recapitalizations and reorganizations, joint ventures and partnerships. 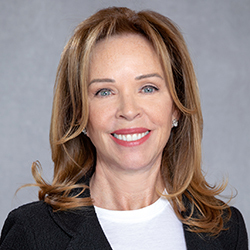 Barbara’s practice includes counseling private equity investors in the structuring, operation, capitalization, refinancing and disposition of target companies. She also advises high net worth individuals, resident and nonresident in the United States, for tax planning related to business operations, investments, family office, and personal tax matters, including tax controversies, disclosure and reporting with respect to offshore investments, IRS voluntary disclosure initiatives and FBAR (Foreign Bank Account Reporting). Barbara advises on a broad range of tax issues arising in bankruptcy, insolvency, and restructuring contexts, as well as in litigation and controversy matters. She works with a variety of specialized entities such as exempt organizations and provides pro bono tax advice to a variety of nonprofit organizations. Barbara previously practiced with the law firms of Dreier LLP, Dechert LLP, and Olwine, Connelly, Chase, O’Donnell and Weyher. Prior to that, she was employed as a Certified Public Accountant for Arthur Andersen & Co. in New York City. Representation of an international hedge fund in a $100 million debt offering involving double taxation treaties and cross-border tax considerations. Representation of an international hedge fund regarding substantial equity trades and U.S. tax considerations under Bankruptcy Court order restricting transfers. Representation of United States persons with substantial offshore assets to meet IRS 2011 Offshore Voluntary Disclosure Initiative. Representation of a private casino company in connection with federal, state and local tax issues of acquisition, structuring, financing and executive compensation. Representation of official creditors’ committee in Chapter 11 bankruptcy and representation of post-reorganization creditor trusts and funds in connection with federal, state and local income tax matters. Representation of joint official liquidators of a family of Cayman Islands hedge funds in connection with United States income tax matters. Representation of private equity fund of resident and nonresident investors in the sale of a global manufacturer and marketer with operations in the United States, Germany, Poland, Georgia, Romania and China with respect to United States and foreign income tax matters, including withholding obligations. Representation of private equity fund in the purchase of an engineering and manufacturing company with operations in the United States and China with respect to United States, state and foreign tax matters. Executive Committee, Board of Directors, Guide Dog Foundation for the Blind, Inc.